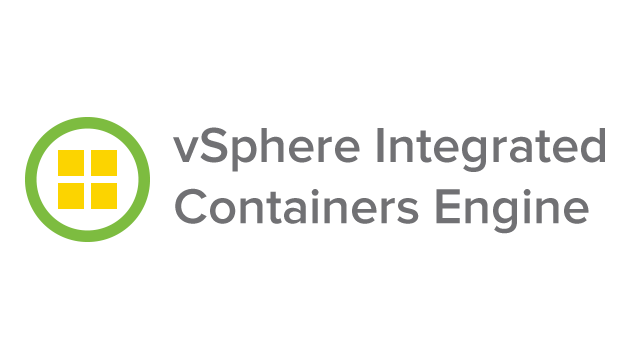 VMware recently release vSphere Integrated Containers v1.1. I got an opportunity recently to give it a whirl. While I’ve done quite a bit of work with VIC in the past, a number of things have changed, especially in the command line. What I’ve decided to do in the post is highlight some of the new command line options that are necessary to deploy the VCH, the Virtual Container Host. 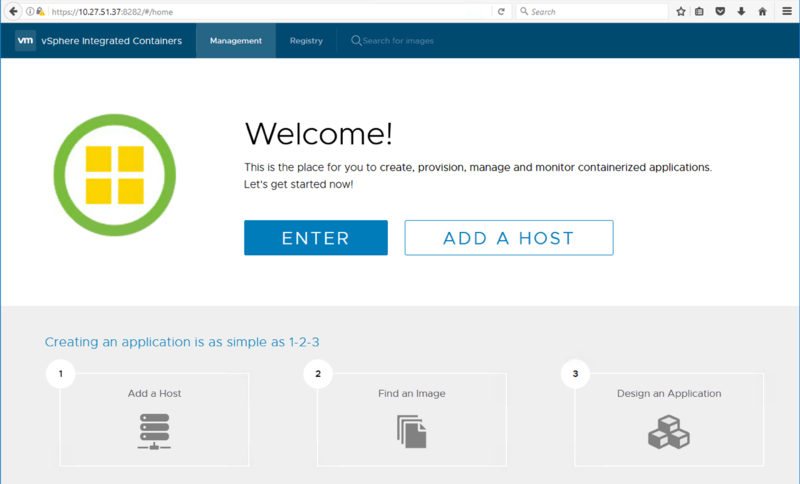 Once the VCH is deployed, at that point you have the docker API endpoint to start deploying your “containers as VMs”. Before diving into that however, I do want to clarify one point that comes up quite a bit. VIC v1.1 is not using VM fork/instant clone. There are still some limitations to using instant clone, and the VIC team decided not to pursue this option just yet, as they wished to leverage the full set of vSphere core features. Thanks Massimo for the clarification. Now onto deploying my VCH with VIC v1.1. First things first – VIC now comes as an OVA. Roll it out like any other OVA. Once deployed, you can point a web browser at the OVA and pull down the vic-machine components directly to deploy the VCH(s). I have gone with deploying the VCH from a Windows environment using vic-machine. If you want to see the steps involved in getting a Windows environment ready for VIC, check out this post here from Cody over at the humble lab. Here is the help output to get us started. Apr 28 2017 13:05:46.432+01:00 INFO  Suggesting valid values for --image-store based on "*"
Apr 28 2017 13:05:46.439+01:00 INFO    "vsanDatastore (1)"
Apr 28 2017 13:05:46.441+01:00 INFO    "isilion-nfs-01"
Apr 28 2017 13:05:46.463+01:00 INFO  vDS configuration OK on "BridgeDPG"
Apr 28 2017 13:05:46.477+01:00 ERROR Specified bridge network range is not large enough for the default bridge network size. --bridge-network-range must be /16 or larger network. The TLS issue now seems to be addressed, but it appears I omitted a required field, –image-store. 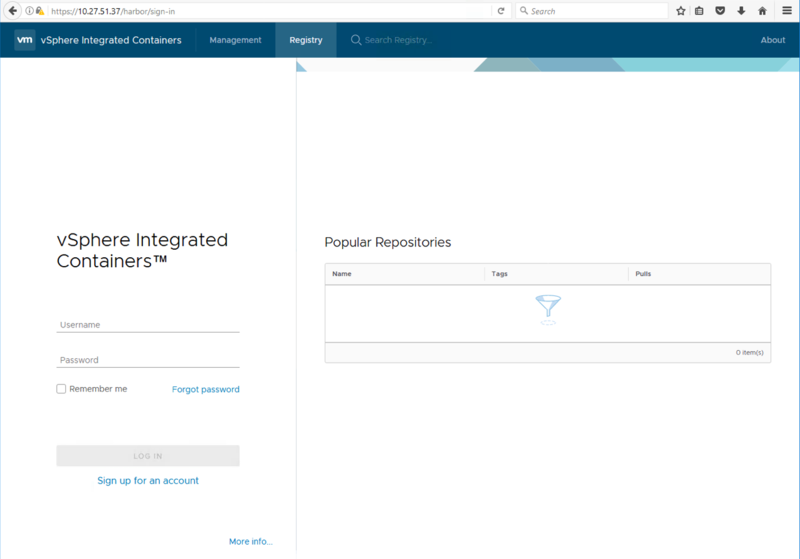 This is where the container images will be stored, and it should be set to one of the available datastores in the vSphere environment. The output is even providing some recommended options, either vSAN or an NFS datastore. These are available to all hosts in the cluster. Apr 28 2017 13:09:18.027+01:00 INFO  vDS configuration OK on "BridgeDPG"
Apr 28 2017 13:09:18.053+01:00 INFO  Firewall status: DISABLED on "/DC/host/Cluster/esxi-dell-i.rainpole.com"
Apr 28 2017 13:09:18.078+01:00 INFO  Firewall status: ENABLED on "/DC/host/Cluster/esxi-dell-j.rainpole.com"
Apr 28 2017 13:09:18.101+01:00 INFO  Firewall status: ENABLED on "/DC/host/Cluster/esxi-dell-k.rainpole.com"
Apr 28 2017 13:09:18.130+01:00 INFO  Firewall status: ENABLED on "/DC/host/Cluster/esxi-dell-l.rainpole.com"
Apr 28 2017 13:09:18.144+01:00 INFO     "/DC/host/Cluster/esxi-dell-i.rainpole.com"
Apr 28 2017 13:09:18.145+01:00 INFO     "/DC/host/Cluster/esxi-dell-j.rainpole.com"
Apr 28 2017 13:09:18.147+01:00 INFO     "/DC/host/Cluster/esxi-dell-k.rainpole.com"
Apr 28 2017 13:09:18.149+01:00 INFO     "/DC/host/Cluster/esxi-dell-l.rainpole.com"
Apr 28 2017 13:09:18.190+01:00 INFO    "/DC/host/Cluster/esxi-dell-i.rainpole.com"
Apr 28 2017 13:09:18.191+01:00 INFO    "/DC/host/Cluster/esxi-dell-j.rainpole.com"
Apr 28 2017 13:09:18.192+01:00 INFO    "/DC/host/Cluster/esxi-dell-k.rainpole.com"
Apr 28 2017 13:09:18.194+01:00 INFO    "/DC/host/Cluster/esxi-dell-l.rainpole.com"
Apr 28 2017 13:09:18.206+01:00 INFO    "/DC/host/Cluster"
Apr 28 2017 13:09:18.346+01:00 INFO  Creating virtual app "corVCH01"
Apr 28 2017 13:09:18.374+01:00 INFO  Network role "client" is sharing NIC with "public"
Apr 28 2017 13:09:18.375+01:00 INFO  Network role "management" is sharing NIC with "public"
Apr 28 2017 13:09:19.307+01:00 INFO     "bootstrap.iso"
Apr 28 2017 13:09:19.309+01:00 INFO     "appliance.iso"
Apr 28 2017 13:09:42.918+01:00 INFO  Obtained IP address for client interface: "10.27.51.38"
Apr 28 2017 13:10:42.946+01:00 WARN  Could not run VCH vSphere API target check due to ServerFaultCode: A general system error occurred: vix error codes = (3016, 0). Apr 28 2017 13:12:25.429+01:00 INFO             If command succeeds, VCH is started. If command fails, VCH failed to install - see documentation for troubleshooting. Apr 28 2017 13:46:40.991+01:00 INFO  vDS configuration OK on "BridgeDPG"
Apr 28 2017 13:46:41.018+01:00 INFO  Firewall status: DISABLED on "/DC/host/Cluster/esxi-dell-i.rainpole.com"
Apr 28 2017 13:46:41.044+01:00 INFO  Firewall status: ENABLED on "/DC/host/Cluster/esxi-dell-j.rainpole.com"
Apr 28 2017 13:46:41.071+01:00 INFO  Firewall status: ENABLED on "/DC/host/Cluster/esxi-dell-k.rainpole.com"
Apr 28 2017 13:46:41.097+01:00 INFO  Firewall status: ENABLED on "/DC/host/Cluster/esxi-dell-l.rainpole.com"
Apr 28 2017 13:46:41.111+01:00 INFO     "/DC/host/Cluster/esxi-dell-i.rainpole.com"
Apr 28 2017 13:46:41.112+01:00 INFO     "/DC/host/Cluster/esxi-dell-j.rainpole.com"
Apr 28 2017 13:46:41.113+01:00 INFO     "/DC/host/Cluster/esxi-dell-k.rainpole.com"
Apr 28 2017 13:46:41.115+01:00 INFO     "/DC/host/Cluster/esxi-dell-l.rainpole.com"
Apr 28 2017 13:46:41.333+01:00 INFO    "/DC/host/Cluster/esxi-dell-i.rainpole.com"
Apr 28 2017 13:46:41.334+01:00 INFO    "/DC/host/Cluster/esxi-dell-j.rainpole.com"
Apr 28 2017 13:46:41.335+01:00 INFO    "/DC/host/Cluster/esxi-dell-k.rainpole.com"
Apr 28 2017 13:46:41.337+01:00 INFO    "/DC/host/Cluster/esxi-dell-l.rainpole.com"
Apr 28 2017 13:46:41.350+01:00 INFO    "/DC/host/Cluster"
Apr 28 2017 13:46:41.493+01:00 INFO  Creating virtual app "corVCH01"
Apr 28 2017 13:46:41.533+01:00 INFO  Network role "client" is sharing NIC with "public"
Apr 28 2017 13:46:41.537+01:00 INFO  Network role "management" is sharing NIC with "public"
Apr 28 2017 13:46:42.517+01:00 INFO     "bootstrap.iso"
Apr 28 2017 13:46:42.518+01:00 INFO     "appliance.iso"
Apr 28 2017 13:47:03.860+01:00 INFO  Obtained IP address for client interface: "10.27.51.41"
Excellent. Now a few other things to point out with VIC 1.1. You might remember features like Admiral and Harbor which I discussed in the past. These are now completely embedded. Simply point your browser at the IP Address:8282 of the VIC OVA that you previously deployed, and you will get Admiral. This can be used for the orchestrated deployment of “Container as VM” templates. These templates can be retrieved from either docker hub or your own local registry for VIC, i.e. Harbor. You can look back on my previous post on how to use admiral and harbor for orchestrated deployment and registry respectively. Let’s finish this post with one last command, which is the command I started with to list VCHs. Now my VCH is listed. Again, I’m only touching the surface on what VIC can do for you. If you want to give your developers the ability to use containers, but wish to maintain visibility into container resources, networking, storage, CPU, memory, etc, then maybe VIC is what you need. I’ll try to some more work with VIC 1.1 over the coming weeks. Hopefully this is enough to get you started. Thanks again Cormac, regarding the folk/instant-clone – I *REALLY* thought it was using that, I’d thought I’d spoken to GeorgeH about this face to face in fact – did something change? I *believe* that was the plan, but there were interop issues. Prob worth closing the loop with George on it, as I’m not quite so involved these days. As far as I know, instant clone disables the vmotion capability of the container VMs, that would contradict one major benefit of vic, mobility. That might be the reason bootstrapping vms is still the way to go. Hey Cormac, great post. Is there a way to remove the single point of failure that is the VCH? You should be able to leverage vSphere HA to avoid underlying infrastructure issues impacting the VCH Mikel. But is there something else you would like to see added? Multiple VCH/docker endpoints per resource pool? Fault Tolerance? I’d be interested in hearing more if you have time. I haven’t had the time to test it properly yet, but I wonder what happens if a host running containers and the VCH fails. I assume that containers can only be restarted after the VCH? Is there still no way to mount nfs shares? I want to use VIC but this is the only thing that kept me from doing it, I want to directly mount nfs shares from my NAS as folders. BTW I don’t wanna use an NFS share as volume store, I actually want to mount the nfs share as folder within my container since I also access some of the data on other hosts, for example to quickly edit a configuration on my desktop computer. Based on feedback from an earlier query, this doesn’t look like it made it to v1.1. I would confirm via the VIC pages on github however. Well damn, I hoped they would finally implement this, it would be enough if they would enabled mounting host folders, so I could just install nfs-utils and mount the share within the vic host machine, but since mounting host folders is also not supported with vic I’m screwed.. The thing that bothers me the most, is that if I use volume stores to persist my data, I don’t have any easy way to access the files and the volumes always have a limited size.. I can’t even create a container that serves the files within these volume stores since shared volumes also aren’t supported god dammit.. I guess I still have to wait until vic finally supports these features.. Maybe I’ll try using Docker on a Photon OS vm as a standalone Docker host, if I get the netshare plugin to work with Photon OS. I’ll let the VIC team know that you would like to see this supported sooner rather than later.